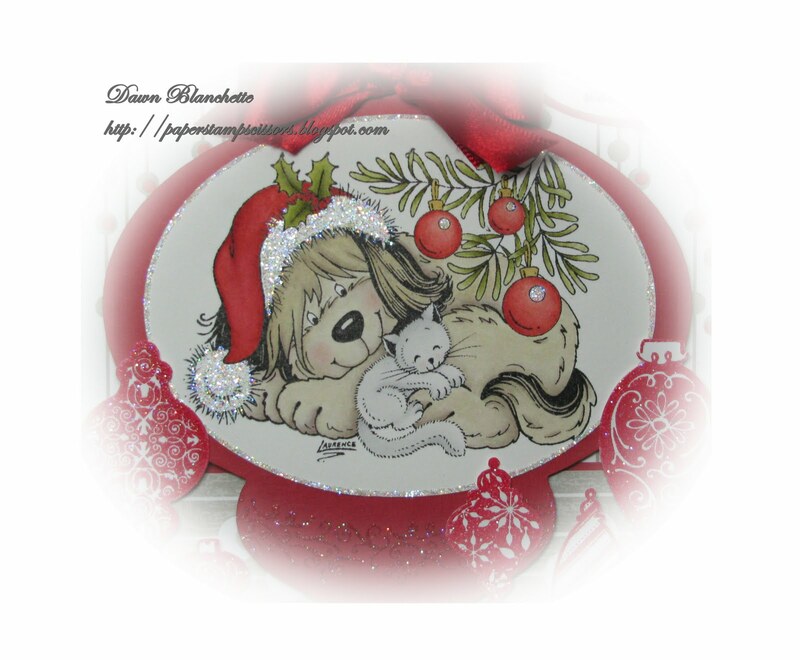 Just a quick post today to share another Christmas card - four done to date! The image was matted on an ornament that I created with SCAL2 using basic shapes which I then welded together prior to cutting electronically. I would post the file for downloading, but I am not that technologically advanced, so I am not sure how that is done. If anyone is interested, either e-mail me or leave a comment with your e-mail address and I can send you the file. The mat was embellished with a large bow made of recycled ribbon from a Christmas present and some rhinestones. I also stamped a border from Close to my Heart and embossed it with iridescent ice from Stampin' Up. This same border is repeated above the scallops. The baubles are from two different stamp sets - one is Stampin' Up and the other Close to my Heart. They have been stamped on white card with Color Box pigment ink in Cranberry and again embossed with iridescent ice. The papers are Stampin' Up and the thin red ribbon is from my stash. The sentiment was computer generated. Thanks for visiting and I hope you have enjoyed my card! 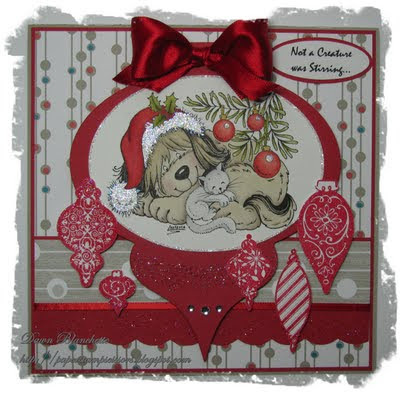 Totally adorable, love the image, just such a gorgeous card. Thanks for joining us at SFC. This is a fab card, love the cute image too. wow this is fab!! 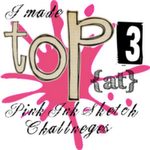 I love how you interpreted our sketch and I love the colouring. I have tried colouring with distress inks but I am not very good at it. 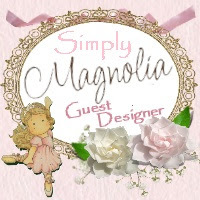 Thanks for joining us at Sweet Stampin this week. 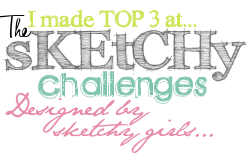 Your take on our sketch is fabulous! 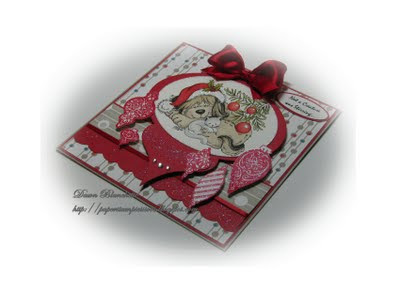 Your workmanship is awesome and your attention to detail makes the card perfect. 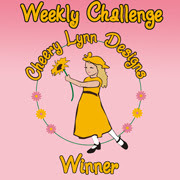 Thanks for playing at Sweet Stampin' Challenges.